Roger Holly Gundy, affectionately called “RH”, left this life to return to the open arms of his creator on Thursday, February 7, 2019, at his residence with his loving wife and children by his side, after an extended illness. Funeral Services will be held on Tuesday, February 12,2019 @ 1 p.m. at the Camp Spring Baptist Church Sandersville,GA with Rev. Darrell Mitchell, officiating with interment following in the Harrison City Cemetery. Born on December 12, 1947, in Washington County, he was the son of the late Mr. Holly and Mrs. Cora Mae (Salter) Gundy. “RH“, worked many years at the Joiner & Gardner Feed Store and at the Lapp Insulator Co. until his retirement. He was a lifelong member of the Camp Spring Baptist Church in Riddleville, where he was a member of the church’s Deacon Board. 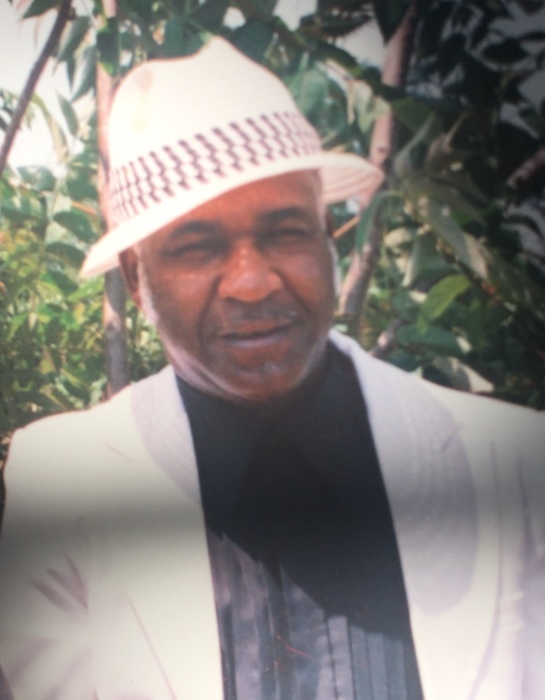 He leaves to cherish his memories, his wife, Ola Mae Gundy, of Harrison; four children, Michael (Anita) Miller, Lithonia; Roger Gundy, Jr., Saketha Gundy, both of Harrison, Santonya (Marcus) Ivey, of Tennille; fourteen grandchildren, three great-grandchildren; sisters, Doris Poole, of Sandersville; Pearl (Otis) Dixon, of Davisboro; sister-in-laws, Carolyn Gundy, of Sandersville; Rose Eva (Tommy) Dunn, of Tennille; Vicky (Charles) Anderson, of Barnwell, SC; Corinthia Evans, of St. Petersburg, FL; Leila Evans, of Harrison; brother-in-laws, Carlton Stephens, George (Rose) Stephens, both of Harrison; James Stephens, of Sandersville; Robert (Quilla Pearl) Stephens, Thomas Evans, of SC; Leonard Evans, Robert Evans, both of St. Petersburg, FL; Aunt, Vernell Salter, of Sandersville; two devoted nieces, Serena Gundy Williams, of Augusta; Michelle Webb, of Sandersville; a devoted nephew, Charlie Poole,a devoted friend, Tommy Dunn, Sr. and a host of other relatives and friends .